PONTE VEDRA, Fla. – Ace Frehley's upcoming tour will take him to Ponte Vedra Concert Hall, on April 1. The expedition begins at Scout Bar in Houston, on Feb. 26. It will conclude on April 16 at The Chance in Poughkeepsie, N.Y. He will be promoting his upcoming album, “Origins Vol. 1”. It is a collection of cover songs and it features collaborations with: John 5 (Rob Zombie), Lita Ford, Mike McCready (Pearl Jam), Slash (Guns N’ Roses) and Paul Stanley (KISS). The record is due out on April 15. 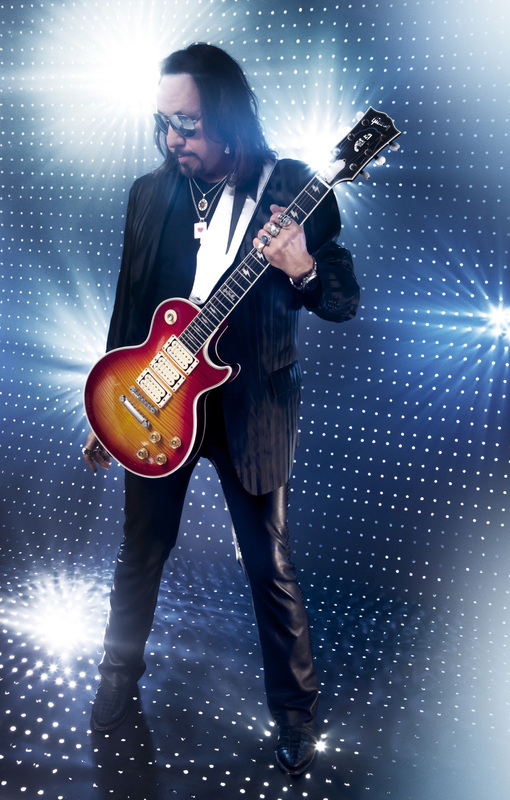 “Origins Vol.1” is an LP from Frehley’s foundational years. It also marks the first time he and Stanley have collaborated together since KISS’ 1998 reunion album, “Psycho Circus”. Frehley’s rendition of Cream’s “White Room” debuted on rollingstone.com. The song is also an instant gratification track on iTunes. When one pre-orders the album on the platform, they will receive the song instantly. Rolling Stone conducted an interview with Frehley. He talked about “Origins Vol. 1” and the guests featured on the upcoming release. He touched base on the subject about reuniting with Stanley, after nearly 20 years. Track listings for “Origins Vol. 1” include: Cream’s “White Room”, Rolling Stones’ “Street Fighting Man” , Jimi Hendrix’s “Spanish Castle Magic” featuring John 5, Free’s “Fire and Water” featuring Paul Stanley, Thin Lizzy’s “Emerald” featuring Slash, Led Zeppelin’s “Bring It On Home”, The Troggs’ “Wild Thing” featuring Lita Ford, KISS’ “Parasite” featuring John 5, Steppenwolf’s “Magic Carpet Ride”, KISS’ “Cold Gin” featuring Mike McCready, Kinks’ “Till The End Of The Day” and KISS’ “Rock and Roll Hell”. Frehley was one of the original members of KISS, when they formed over 40 years ago. He designed their logo. He was inspired by Jimi Hendrix, Jeff Beck, Jimmy Page (Led Zeppelin) and Pete Townshend (The Who). He would go onto inspire Stone Gossard (Pearl Jam), Lenny Kravitz and Darrell “Dimebag” Abbott (Pantera). Accompanying Frehley on tour will be Richie Scarlett. Scarlett will be playing rhythm guitar and providing additional vocals. Chris Wyse (The Cult) will be on bass and assisting with backup vocals. Scott Coogan (Nikki Sixx’s Brides of Destruction) will be the drummer. To visit Ace Frehley’s official website, please click here. To like him on Facebook, please click here. To follow him on Twitter, please click here. March 02 - Marquee Theatre, Tempe, Ariz.
March 04 - The Ranch, San Miguel, Calif.
March 05 - Saban Theatre, Beverly Hills, Calif.
April 01 - Ponte Vedra Concert Hall, Ponte Vedra, Fla.
April 02 - Capitol Theatre, Fla.
April 03 - Rockfest 80’s at Markham Park, Sunrise, Fla.
April 07 - Carrington Pavilion, Danville, Va.
April 09 - Havana New Hope, New Hope, Pa.
April 13 - The Paramount, Huntington, N.Y.
April 15 - The F.M. Kirby Center, Wilkes Barre, Pa.
April 16 - The Chance, Poughkeepsie, N.Y.